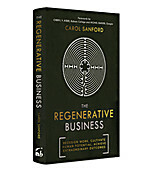 Reinventing Organizations describes in practical detail how organizations large and small can operate in a new management paradigm. Leaders, founders, coaches, and consultants will find this work a joyful handbook, full of insights, examples, and inspiring stories. A recently hired financial analyst from Pakistan named Shazad Qasim once approached Dennis Bakke, the co-founder of global energy provider Applied Energy Services (AES), and said he was going to investigate opportunities for AES in his country. Bakke was skeptical, but the decision was up to the analyst: under Bakke, AES used the “advice process” for decision-making, which meant that superiors had to be asked for their advice, but the decision remained at the lower rungs of the organization. 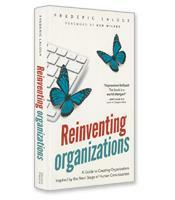 AES is one of the “Teal” companies featured in a new book called Reinventing Organizations by Belgian consultant Frederic Laloux. As Laloux explains, researchers in history and developmental theory have created a general framework that describes how humans have evolved through history in leaps of human consciousness. 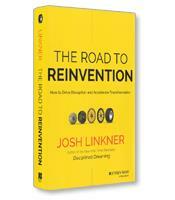 In Reinventing Organizations, Laloux shows how we are on the cusp of the next stage in human consciousness. The Evolutionary-Teal stage (all stages have assigned colors) — will bring its own changes to our organizations. In exhaustive detail and using pioneer companies that have already moved into the next stage, Laloux describes the structures, practices and cultures of Teal organizations and how they will emerge. With each leap or new paradigm shift in the consciousness underpinnings of society, there is a corresponding leap in how humans collaborate, Laloux writes. For example, the Impulsive-Red period in human development, which started with chiefdom-led tribes 10,000 years ago, represented organizations that were ruled by iron-fisted leaders controlling their people through fear. The Conformist-Amber consciousness, which followed with the shift from chiefdom to states and civilizations — as in Mesopotamia in 4,000 BC — included a deeper awareness of other people’s feelings and perceptions, Laloux writes. Today’s Amber organizations, he writes, are those with stable hierarchies and processes focused on the long term — organizations such as governmental agencies, the military and public school systems. The Achievement-Orange paradigm emerged in the Renaissance and the Industrial Revolution, when the universe began to be viewed as a machine that could be investigated and explained. 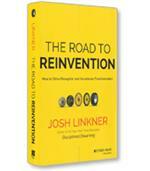 In organizations, innovation is a major goal. Multinational companies are usually Orange. The more recent Pluralistic-Green paradigm is uneasy with power; in this stage of human consciousness, the idea is the destruction of hierarchies. Green organizations focus on empowerment and values-driven culture — companies such as Ben & Jerry’s and Southwest Airlines. The Evolutionary-Teal stage leads to three organizational breakthroughs: self-management, operating on a basis of peer relationships rather than hierarchy; wholeness, which means the whole person and not just the professional self comes to the workplace; and evolutionary purpose, in essence, the organization itself having a direction and a reason for living. Using 11 companies as examples, from a family-owned foundry in France to the iconoclastic Patagonia Company, Laloux explores how they operate through self-management structures and processes, strive for wholeness through their general practices and HR processes, and listen to their evolutionary purpose. This practical book will help leaders dissect their organization and find the opportunity to bring their company into the new Teal paradigm.